Exhibitions displayed at 630 Yates Street under the names Legacy Art Gallery Downtown, Legacy Art Gallery, and Legacy Art Gallery and Cafe. After five decades of stewardship, the UVic Legacy Art Galleries is giving seven Frank Lloyd Wright designed windows back to the house they originated from. Say farewell to the art glass windows at our exhibition that celebrates this monumental gift during the 150th anniversary of the internationally renowned architect’s birth. These original windows are intrinsic decorative and architectural parts of Wright’s unifying design principle called “organic architecture.” Wright was inspired by nature and natural materials to build harmonious designs that were integrated between their environment, architectural plan, fixtures and furniture. The ‘light screens’, as Wright called them, were created in 1904-05 for the Darwin D. Martin House Complex in Buffalo, New York. In the wake of the Great Depression, the family house was abandoned and left in disrepair until recent renovations have restored the complex into a National Historic Landmark. These salvaged light screens are some of the last pieces needed to achieve Wright’s visionary intent and complete the major restoration project. 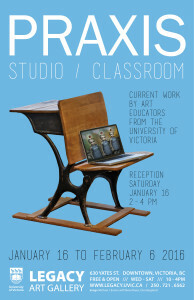 UVic Legacy Art Galleries’ return of Frank Lloyd Wright-designed windows back to their original home is a rare gesture of a museum transferring valuable objects out of their collection to serve a greater purpose. Join us for a presentation by Director, Mary Jo Hughes and Darwin D. Martin House Curator, Susana Tejada as they discuss how UVic’s windows contribute to the restoration of a Frank Lloyd Wright-designed home in Buffalo, New York. Hughes will speak to the intent of the gallery’s decision and the significance of returning the windows to the context designed for them. Tejada will present the history of the Darwin D. Martin House and recent restoration achievements, while emphasizing how the original windows will have a lasting impact on Frank Lloyd Wright’s legacy. 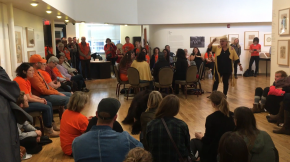 This event falls on the final day of the So Long, Frank Lloyd Wright exhibition and will be the last opportunity for the community to say goodbye to the windows. Susana Tejada is Curator of Frank Lloyd Wright’s Darwin D. Martin House where she oversees exhibitions, interpretation, and scholarly programs for this National Historic Landmark—a multi-residential estate admired for its six signature buildings, interior and exterior gardens, and an extraordinary collection of art glass and furnishings. 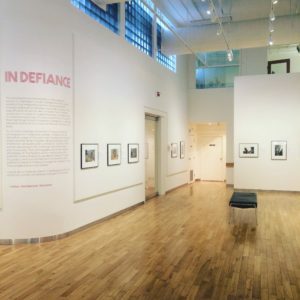 Prior to her appointment in 2012, Susana served in various capacities in the fields of museum, archives, and library administration and has held professional positions at the Albright-Knox Art Gallery, the State University of New York at Buffalo, and New York State’s Documentary Heritage Program. Susana was an invited participant in The Getty’s prestigious Next Generation Leadership Institute, an executive education program for the art museum field’s top emerging talent. She holds a Master’s degree from the University of Michigan and a duel Bachelor of Arts in Art History and Medieval and Renaissance Studies from New York University. She is a native of Los Angeles. 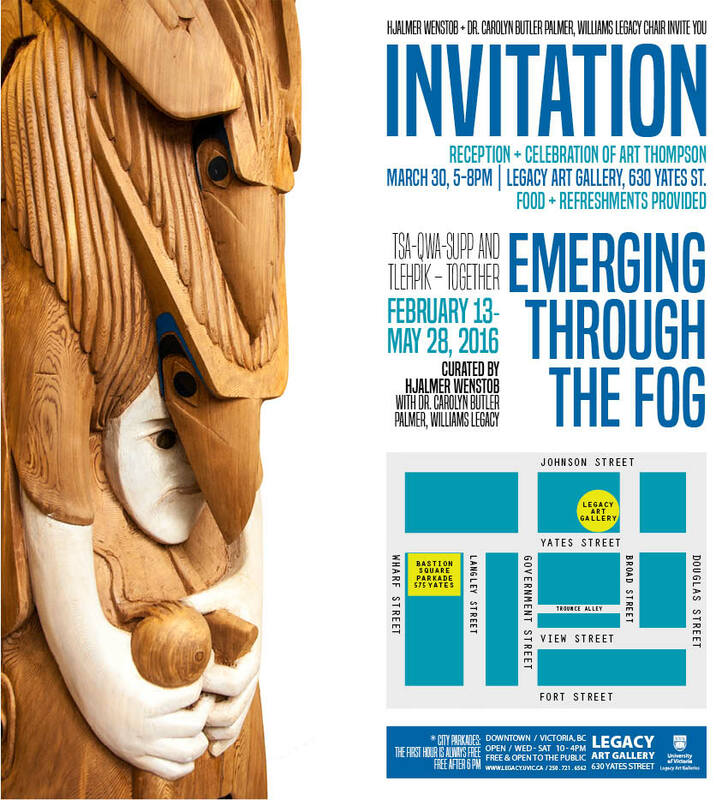 Mary Jo Hughes is the Director of the University of Victoria Art Legacy Art Galleries. 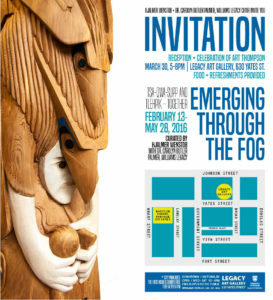 From 2007 to 2012 she was Chief Curator at the Art Gallery of Greater Victoria. She has served as Senior Curator athe Winnipeg Art Gallery and Associate Curator at the Agnes Etherington Art Centre in Kingston Ontario. Mary Jo Completed her MA in Art History at Queens University, with a specialization in Canadian art history, and has taught at the University of Winnipeg and the University of Manitoba. This entry was posted in Legacy Downtown, Online Projects, Past Exhibition on 16 September, 2017 by khughes. 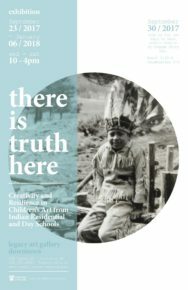 Guest curated by Dr. John Lutz (History, UVic) with Emerald Johnstone Bedell and Caroline Riedel. We know Grafton Tyler Brown (1841-1918) was one of the first professional landscape artists to work in the Pacific Northwest. His few regional paintings that survive offer vivid windows into the world of 1880s Victoria and British Columbia. Yet, how did this African American artist succeed at a time when racial prejudice prevented most Blacks from entering any skilled profession? This entry was posted in Legacy Downtown, Online Projects, Past Exhibition on 1 April, 2017 by khughes. 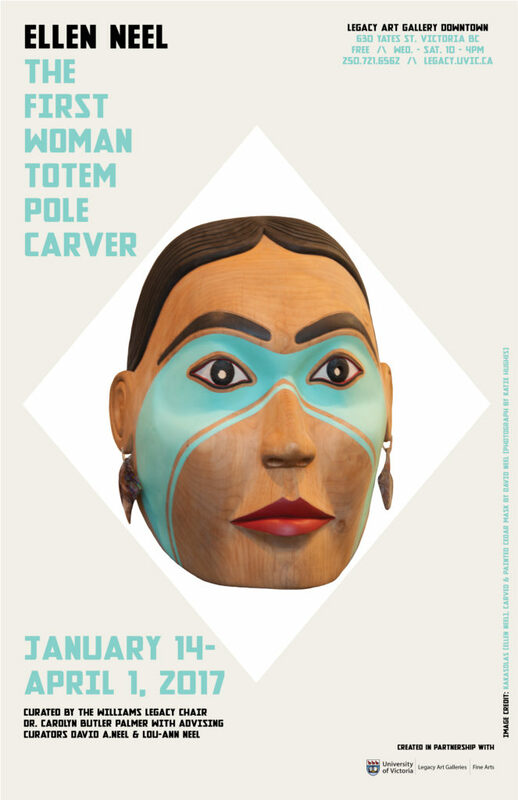 Image credit: Kakasolas (Ellen Neel), carved and painted cedar mask by David A. Neel (photograph by Katie Hughes. 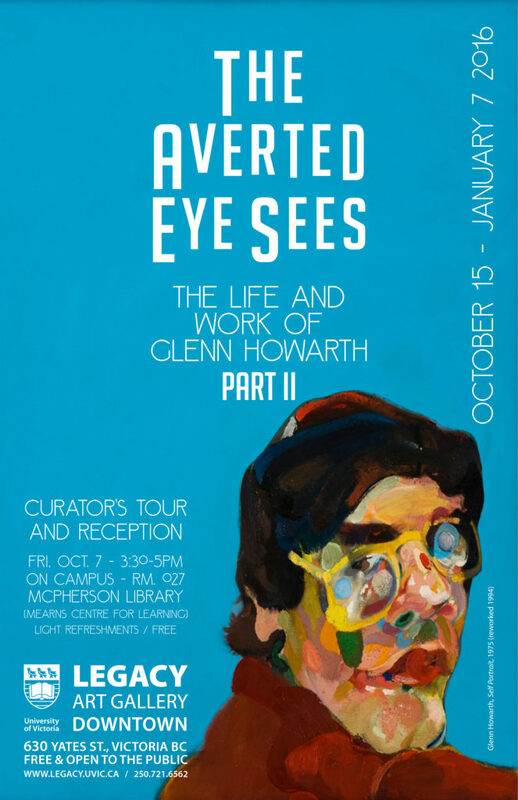 On loan from Camosun College, Department of Visual Arts. 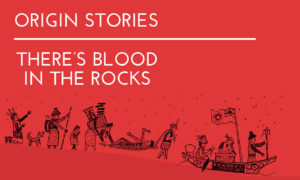 TOPIC: “I Want to Call Their Names in Resistance”: Claiming Space for Indigenous Women in Canadian Art History. Dr. Sherry Farrell Racette, Professor, artist & curator. 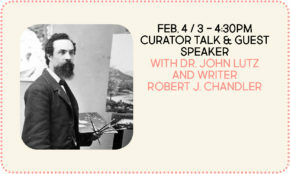 Presented by the Department of Art History and Visual Studies. 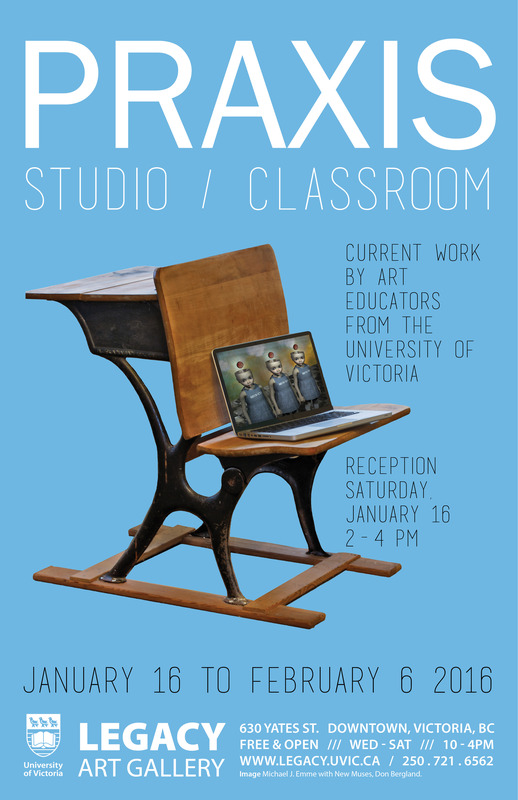 In this first exhibition of 2016 at the Legacy Art Gallery Downtown, art educators from the University of Victoria’s Faculty of Education present a diverse range of current work, including ceramics, digital art, sculpture, painting, drawing, photography and video. 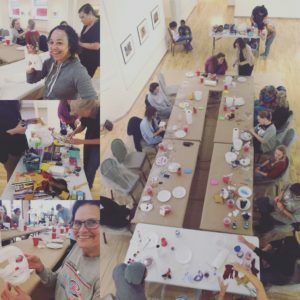 Committed to collaboration, exchange and annual group exhibitions, these artists/educators recognize the research value of studio practice where the interdependence of teaching and creative production each inform and enhance the other. Drawing upon diverse personal and professional experiences and inspirations, the exhibition of their creative production represents an exciting array of ideas, imagery and processes. 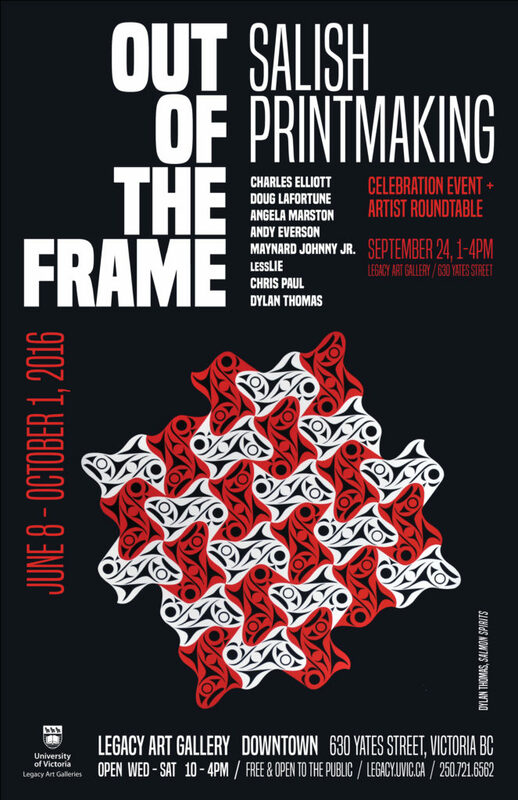 Join us to meet the artists and for light refreshments. Image Michael J. Emme with New Muses, Don Bergland. 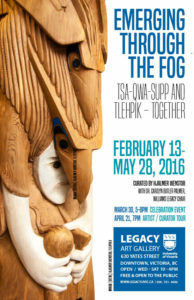 This entry was posted in Art Education, Legacy Downtown, Past Exhibition, UVic Faculty and Alumni on 14 February, 2016 by khughes. An exhibition and film project at UVic’s Legacy Art Gallery features work by some of the best-known designers of the time: William Morris, C.R. 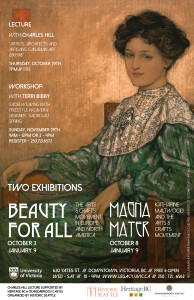 Ashbee, the Roycroft Workshops, Tiffany Studios, Frank Lloyd Wright, Edward Burne-Jones, and Liberty and Co., all from the nationally recognized permanent collection at the University of Victoria.The exhibition demonstrates founder William Morris’s belief in a return to simplicity, and that beautiful, well- made objects in the home could promote a better life for both the user and the maker:”If you want a golden rule that will fit everybody, this is it: “Have nothing in your houses that you do not know to be useful or believe to be beautiful.“- William Morris, 1880. This entry was posted in Legacy Downtown, Maltwood Collection, Online Projects and tagged Arts and Crafts, Britain, Europe on 9 January, 2016 by khughes.